Unlike a 30 year fixed mortgage, to which it is most often compared, a 15 year fixed mortgage takes half as long to pay off. Instead of making 360 payments as you would with a 30 year fixed, you’ll make just 180 payments over the life of the loan. What often matters most to homebuyers who pursue this financial strategy is the satisfaction and safety they feel from knowing that their home is fully paid off. Owning a home free and clear is a sign of financial independence. Compared with a 30 year fixed, a 15 year fixed mortgage cuts in half the time it takes to achieve this goal. Because lenders are exposed to fewer years of risk on a 15 year fixed, they charge a lower interest rate. And because you’re paying interest over half as many years, when compared to a traditional 30 year mortgage, you achieve even more interest savings. With its lower interest rate and slightly higher payment amount than a 30 year, a 15 year fixed mortgage potentially builds equity faster because you’re paying down the principal balance quicker. For many homeowners, the mortgage is the first bill they pay each month, so homeowners may pare their spending in other areas. This prioritization, in effect, becomes a forced savings plan. If you plan on retiring in under 30 years, paying off your mortgage in 15 years could eliminate your monthly mortgage payment by the time you retire. 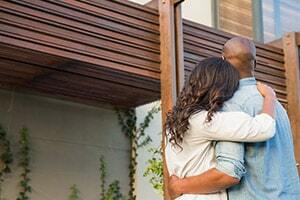 Many home buyers enjoy the advantages and many benefits a 15 year fixed mortgage affords. Ask us today how to get started!